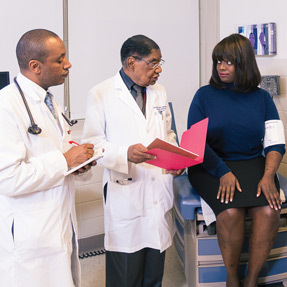 Updated blood pressure guidelines may have created more questions than closure, internists have found, as they try to determine how aggressively to treat the condition and what goals to set for subpopulations of patients, such as those with diabetes. Experts react to the “paradigm shift” in lowering hypertension. Internists can vastly improve outcomes for patients by referring more patients to physical rehabilitation earlier, more often, and for more conditions than they might think. Hospital charges in Maryland have been set by the state for 4 decades, and more reforms are on the way. The effort has led to all insurers paying the same price for the same services in the same hospitals, and now, the state is looking to improve facilities' readmission rates and other quality metrics. The Advanced Cardiac Life Support guidelines are due out in 2015 and may pose some shocking changes: faster beats-per-minute chest compressions, a de-emphasis on hypothermia, and a new length of time for continuing cardiopulmonary resuscitation. Empathy is a crucial element to good care and improved patient outcomes. Why doesn't medical education promote more of it?. This issue includes stories centered on various aspects of hypertensions, as well as topics specific to mean's health, electronic health records and physical rehabilitation referrals. ACP staff answers questions that have arisen as members ramp up their efforts to comply with the new implementation standards. Electronic health records have numerous advantages but also some potential pitfalls, as design flaws, complex templates and structured progress notes may lead to more complexity and more challenges to defense against malpractice. The ACP Annual Business Meeting will occur at Internal Medicine 2014 in the Orange County Convention Center on Saturday, April 12, from 12:45 p.m. to 1:45 p.m.
A 59-year-old woman is evaluated in the emergency department for midsternal chest pain. The pain began several hours ago as a vague ache in her left upper sternal region that progressed in intensity and severity. The pain abated spontaneously after approximately 45 minutes. She had no further chest pain until several hours later, when it recurred unprovoked by exertion. She has no shortness of breath, nausea or vomiting, syncope, previous history of chest pain, or known cardiac disease or risk factors for venous thromboembolism. Medical history is significant for hyperlipidemia and hypertension. She does not smoke cigarettes. Medications are simvastatin, aspirin, lisinopril, and hydrochlorothiazide. Following a physical exam, electrocardiogram and chest radiograph, what is the most appropriate initial management?.